Byproducts aren’t always bad. Take for example, the crunchy chunks of garlic you’ve got left after making the garlic oil for this dish. If you don’t sprinkle a little salt on them and eat them as a cook’s snack, you really need to reevaluate your life. When it comes to the cilantro, you either like it or you’re wrong, though you could substitute parsley. Place a small pot with the oil on medium heat and add the garlic. Cook, stirring occasionally until the garlic just begins to brown. Remove from heat. 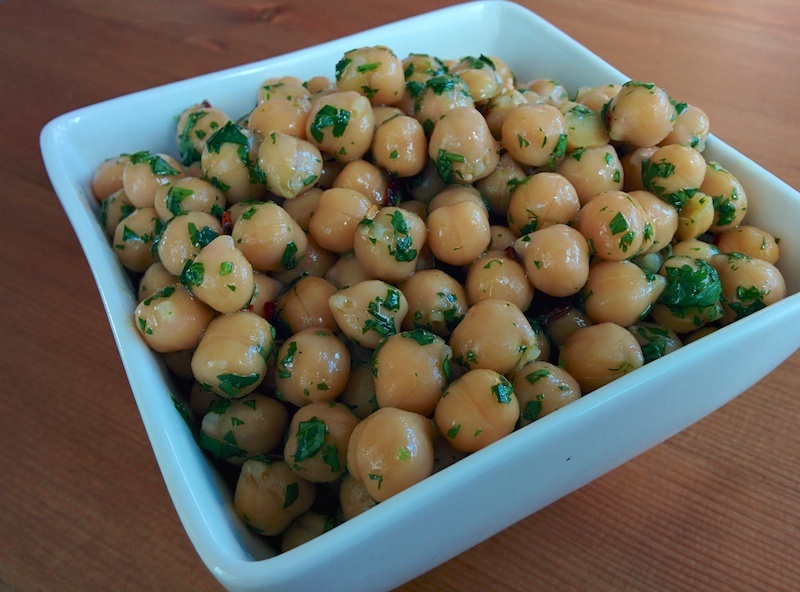 Strain the garlic oil over the chickpeas. Toss with the cilantro, salt and pepper flakes.